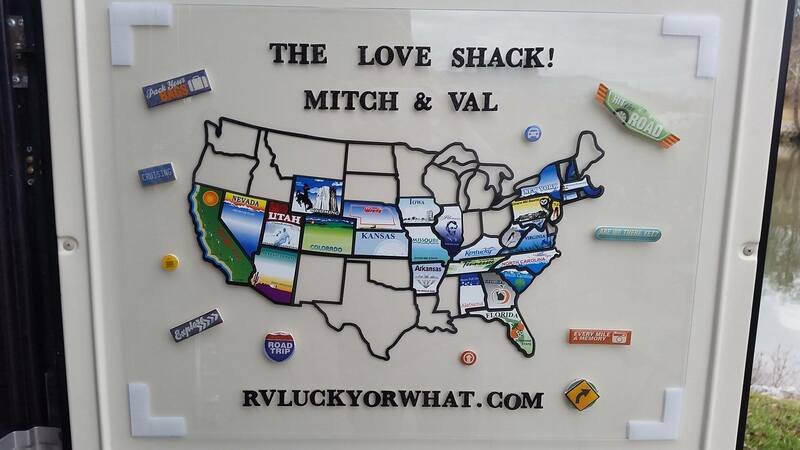 In April of 2014, Mitch and I took our first RV trip together a few months before we purchased our new home on wheels. We thought a short trial voyage with a rental RV would be a good idea before we exchanged our sticks & bricks house in Massachusttes for full-time life on the road. (Um. Ya think!?) Mitch had some experience RVing on family vacations but me, not so much. So we took a road trip, rented a 36′ Winnebago from a private owner in Pennslvania, and drove it to Virginia for a long weekend. I was sold on the RV lifestyle immediately! What a rush to be riding high, looking out the big windshield at the view, angsting at every turn and at every overhead branch and cable, but every minute becoming more comfortable behind the wheel of a big rig. But perhaps what *really* romanced me was the rental advertisement for the RV we rented. In the ad, the rig was pictured at a tropical waterfront site in Key West, Florida. The owner told us that he took this picture of his rig at Boyd’s Key West Campground, a popular RV destination in Key West that required booking months in advance. We couldn’t wait to get there! The advertisement that captured our attention: a 36′ RV at Boyd’s Key West Campground. Now that we’ve stayed for a longer period at numerous RV campgrounds in the Keys, we found Boyd’s was only the tip of the iceberg. The Keys are chock full of great places to camp or RV! We found some other sites we liked even better! We decided months ago before we arrived in Florida that we wanted to see manatees, whatever it takes, wherever that would take us. We’ve never seen one even in captivity, much less in the wild. 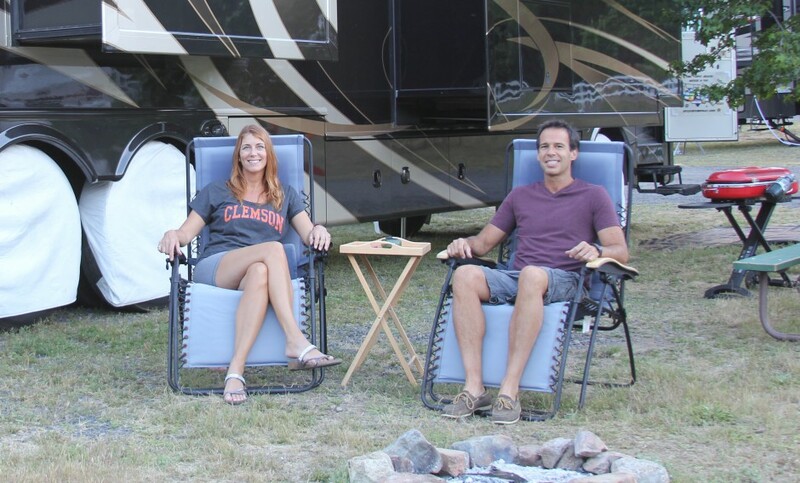 So we booked a site at a charming RV campground called Nature’s Resort, near Homosassa Springs Wildlife Refuge and Crystal River Wildlife Refuge, two places that are considered the best places to see manatees. We arrived in early December. Alright, we’ve been very vocal about the trouble we’ve had with the Beast and how it consumes our days, but what also consumes our days is having fun in new places! So here’s an example of the fun! And Now a Word From Mitch…This is Not My Beautiful House!!! Since beginning our RV adventure, many friends and family have asked us, “How’s life on the road?” and “How is your life different now compared to living in one place?” The answer is complicated, but having now completed almost three months on the road, we can better describe how our lives and our lifestyles have changed since leaving our “sticks & bricks house.” Some of these differences we anticipated, but many we didn’t.